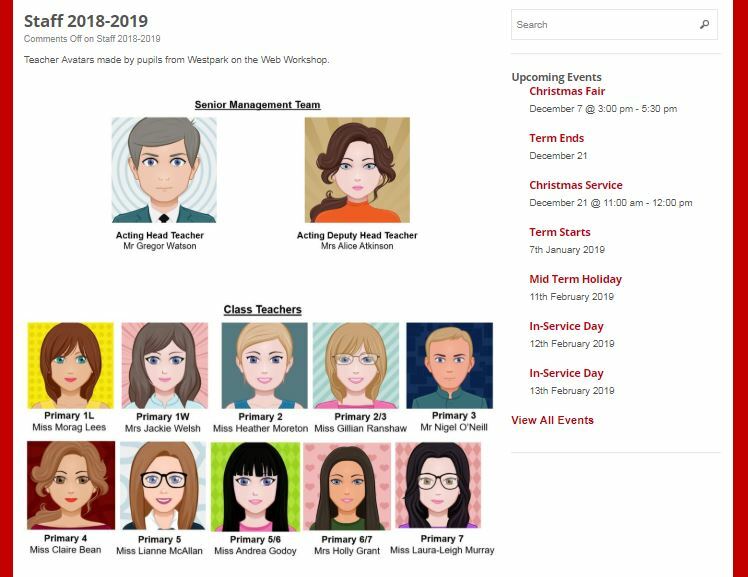 Pupils from Westpark on the Web workshop have created teacher avatars to put on the Staff 2018-2019 page of our website. The children worked really hard to make sure the pictures looked just like our teachers. To see the amazing job they all did click on the About our School tab, and go down to Staff 2018-2019.